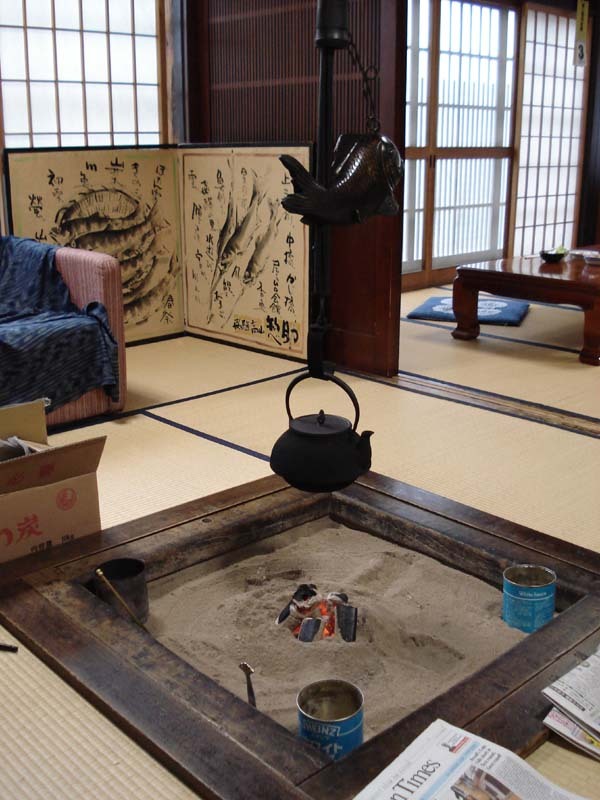 No chimney - no venting The hearth or fireplace is the spiritual and emotional center of a traditional Japanese home just like it is in the West. 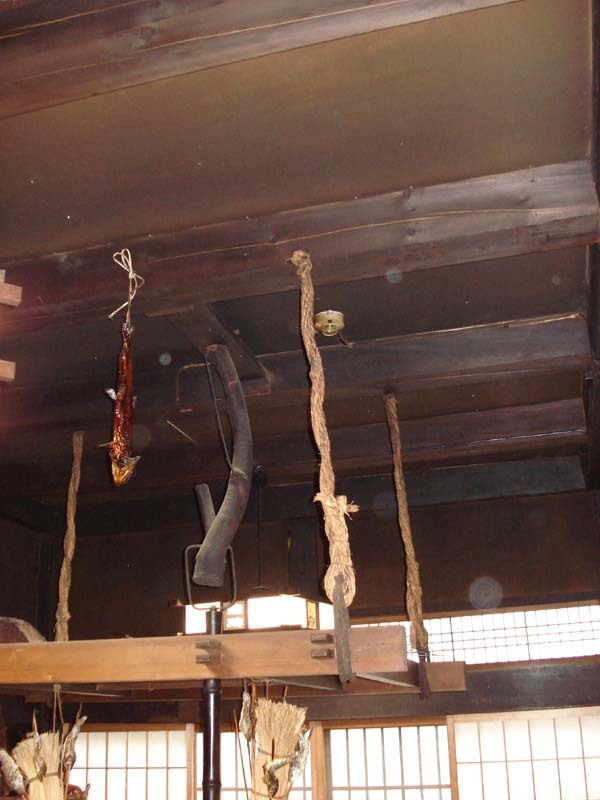 Small charcoal fires are burned in the Japanese fireplace that produce little smoke but whatever smoke there is drifts up into the rafters since a traditional Japanese fireplace is not vented - although smoke may be encouraged to escape through a vent or window high near the ceiling. 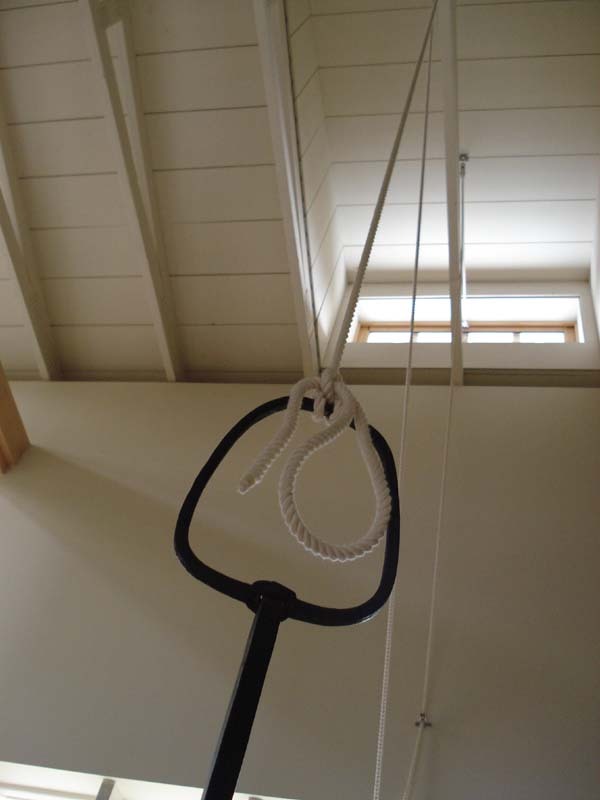 Note that the kagizuru is usually hung on a wood branch or chain - not by the rope that operates the window. The American Planes Indians also traditionally enjoy the benefits of radiant heating from a wood fire without a chimney and also without a smoky interior. The efficient and effective heating of their tipis is quite interesting. 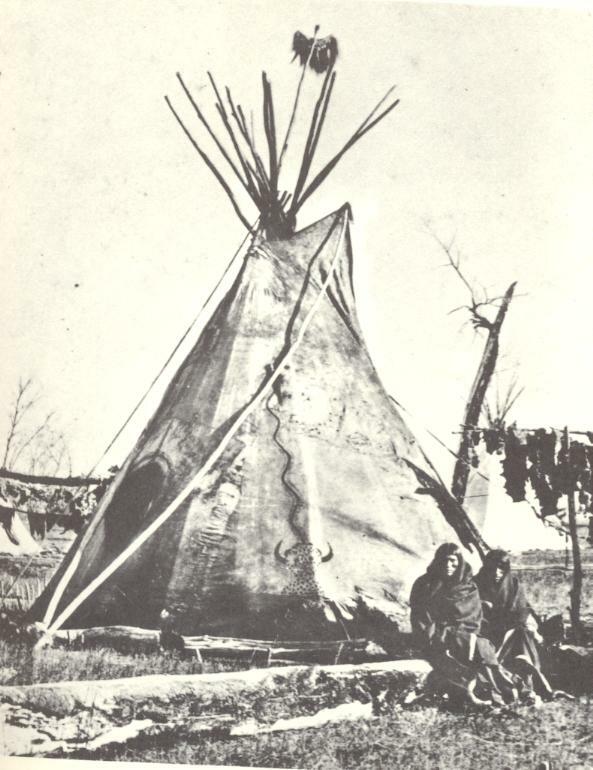 A tipi has two skins. The outer skin or cover (now usually canvas) is pitched off the ground a few inches while the inner liner lays on the ground and may go up 3 to 9 feet depending on the size of the tipi. 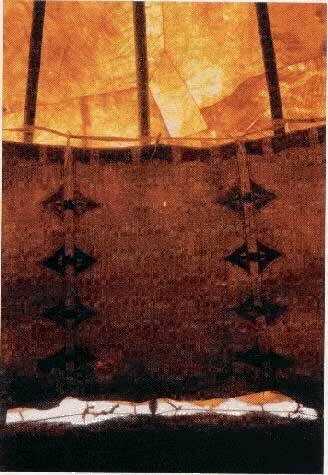 A fire is built in the middle of the tipi. 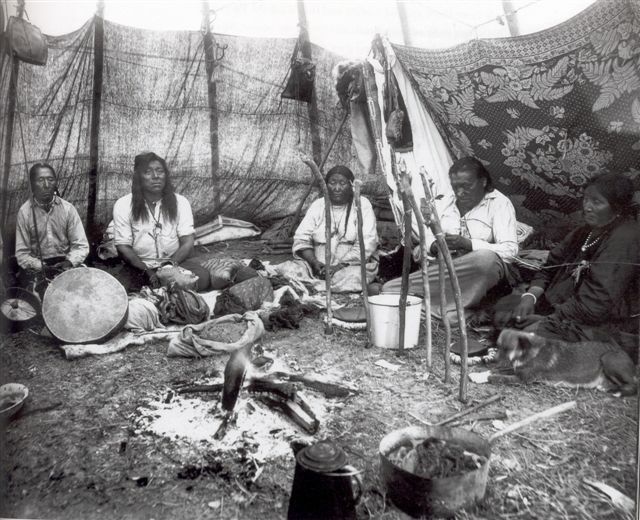 Occupants are heated radiantly by the fire while the smoke is carried away through the adjustable hole at the top of the tipi by air flowing up between the outer cover and the liner. With permission from Linda Holley who has created a very extensive website on tipis at http://www.tipis-tepees-teepees.com. The web site you give is mine but is still under construction and is going to be changing again shortly. 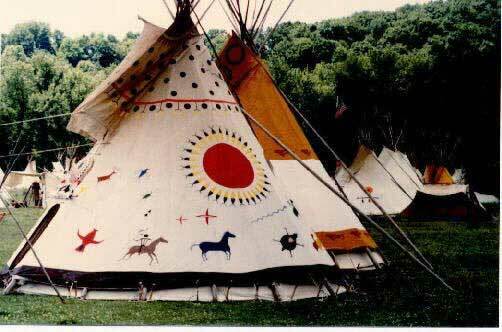 The original site is at www.tipis.org. 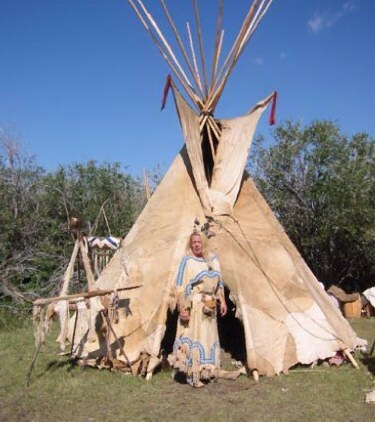 This site also shows a great deal more material than on the still emerging www.tipis-tepees-teepees.com site. So, if you want to use the material, put both sites with my thanks. You will also find on tipis.org a fire place there that I use to heat my lodge. It is not on the other site yet. One idea I had (that was immediately rejected) for that big eight foot see-through fireplace was to install a small fan - or maybe just a closable opening in the peak of the roof to let out the little bit of smoke the fireplace spilled. We could get the fireplace to work "pretty well" but after a couple of hours, smoke was hanging in the rafters. 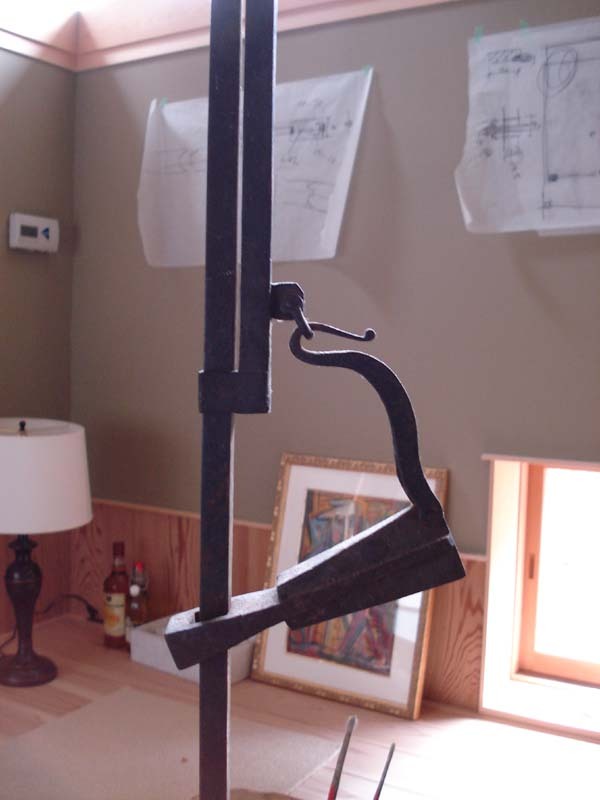 Maybe that's the solution for managing a temperamental multi-sided fireplace. We can make most of the smoke go up the chimney of a big see-through fireplace but maybe we should learn from the Japanese and American Indians how to deal with the little bit of smoke that we can't make go up the chimney. 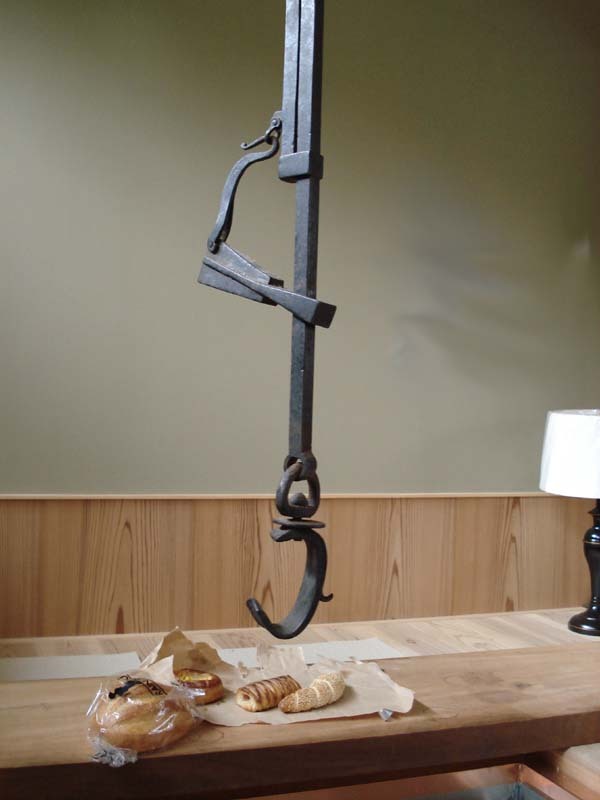 That might be perfectly acceptable in a log or timberframe house with high ceilings and natural rustic wood finishes - like the lodge with the eight foot see-through.